 "Water Your Team in a Beehive I'm a Sent You" lyrics. Loving Cup made its Phish debut at this show and was the first tune played on Page's new baby grand. Page teased Call to the Post before Loving Cup. This show also featured the debuts of Wedge and Lifeboy. Trey sang the verses of Fee through a megaphone. 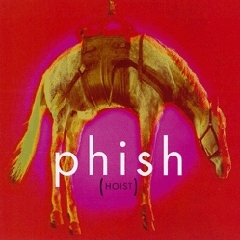 I Didn't Know featured Fish on trombone, the beginning of My Friend and all of Horse featured Trey on acoustic guitar, and Big Ball Jam featured Fish on vacuum. Tweezer and YEM both contained "Water Your Team in a Beehive I'm a Sent You" lyrics. YEM also contained a My Girl tease and Terrapin (after Big Ball Jam) contained I Feel Free teases from Page. Trey teased You Don't Love Me in Possum. The Amazing Grace encore (also a Phish debut) was performed without amplification. A snowy night in Maine and a great first show! All the debuts were very solid. Still my favorite versions of Loving Cup and Lifeboy ever. 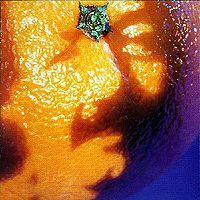 Great fun hearing the "Water your team in a beehive, I'm a sent you" lyrics toyed with in Tweezer (which is very Wedge-y (check just after 3:00 and around 4:30)) and then full-on delivered in You Enjoy Myself, the band's sense of humor apparent from the get-go. The way Lifeboy materialized from the dust after the YEM vocal jam was so beautiful and it reaches a great crescendo. Needless to say, I was hooked. They're back!! After two months off, the boys return to the stage for the first installment of spring tour in Portland. The recording is good though a little boomy, which may have been the room's fault. It does sound like Paul had quite a time dialing in the room as you can hear various frequencies pop out in the mix throughout the show. So...Right out of the gate we have a new cover! Introducing Page's new piano, the recording finds him tickling the ivories before a well deserved Loving Cup. Well played and worth the wait. Rift is a scorcher. Fast and reasonably tight. Trey picks up the megaphone for a nice, solid Fee. The harmonics fade out as Fish tears in to a rocking Llama. Great energy so far this set. Trey makes a special announcement about the piano, then... Woo Hoo! Another new song. And for you Wedge fans out there, definitely check this one out. The song had a totally different arrangement than what we are all now used to on the Rift album and all later performances. Sounds like Trey pulled himself out of tune a bit going into a good Divided Sky. Funny IDK with "The little Beast Boy Tubbs” on trombone tonight. Trey also busts out the acoustic guitar on this tour with a shaky My Friend intro. Mike also has some problems here. Strange ending on this one too. Poor Heart is a good standard version. Maybe a little Benny Hill tease from Trey? Guelah was ok. A little rough on the drum parts at times. Bowie had a really strange intro jam and a rough composed section, but a really good ending to a nice high energy first set. Good, solid Jim to open the second set. Ice was ok. Tweezer is good and has the mumbling lyrics in it. The Horse also finds Trey on acoustic and has a funny moment towards the end waiting for Paul to fix the feedback noise. Silent was good as was Sparkle. Pretty standard versions here. Nice YEM. Complete with My Girl teases and the funny alternate lyrics. Good solo sections and vocal jam at the end. Alright! Another new song tonight, with a surprisingly rocking Lifeboy. It was fast and way more rocking than we are used to now, but overall a good song debut. The rest of the set is just for fun as we have the return of "Tubbs the little Beast Boy" with an absolute train wreck of a Terrapin including great stage banter and the crazy,"Give us the balls!" Big Ball Jam all dedicated to Marley. "Alright, now we're going to be serious." Fish says, as Possum closes up the second set in style. Nicely done. Double encore tonight with another new cover, the a cappella Amazing Grace followed by a standard Tweeprise close up a good, high energy show. I think I'll bump this one up to four stars only for the new songs and the energy they brought tonight. If I could give three and a half, I would. 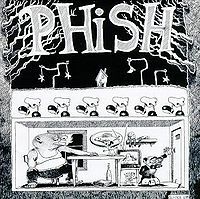 I saw this show with a friend who was introducing me to the Phish only experience, my 1st show was seeing them open for Santana, Summer 1992. Anyway, wow, the un amplified Amazing Grace was....AMAZING, because everyone was quiet, and you could hear every word. The opener was one of my favorite Stones tunes, and also a debut (which I had no clue of atm). I was mesmerized, and stayed up the rest of the night absorbing what I had just witnessed. One of those legendary early 1990's shows, everything was silver. This is solid tour opener that marks the debut of Page's grand piano. This major instrument upgrade really rounds out the band's sound. It's easy to forget that just two months prior they sounded so very much different, even though their actual playing probably didn't change all that much. The grand is so much warmer and really just adds a wonderful depth to their sound. Loving Cup is an appropriate opener considering this instrument change. At the end of Llama Trey notes they had wanted to play Loving Cup for years but Page refused to play it until he had an actual piano. The first set is generally pretty tight and fun. The Wedge, a song generally not associated with 1993, also debuts. After only nine performances in 1993 it was shelved until 1995. Seeing as it's currently 2014, it's easy to forget that Bowie used to get a bit more exploratory. 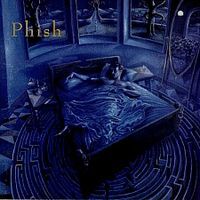 It being 3.0 and all, our expectations for a 12 minute Bowie aren't particularly high, but you'll find the more you listen to early 90's Phish that this song really used to shine in that amount of time. Each rendition really has a unique identity. Not that this version is crazy out or anything, but it develops it's own little "thing" and should hold your attention much better than most from the past couple years. 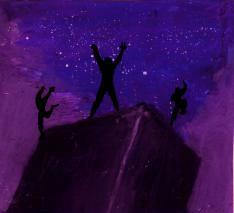 The main attraction of Set II is a great YEM > (the debut of) Lifeboy. YEM isn't longer than usual, nor does it vary form its normal formula (i.e. Page > Trey > Mike > vox jam), but everything is played really well. Even the ambient vamp in the beginning of the composed section gets a little face-lift. The biggest bummer is that the only circulating source has a short portion of the jam missing at the end of Page's solo into Trey's solo. It's actually masked by a tape-splice that keeps the beat going, but if you're not spacing out you will notice the missing bit. Other than that non-musical critique, this YEM is pretty fire. Page slays, Trey really slays, Mike gets quirky... even the vocal jam ends pretty neat with a drone-y work-song type vibe. The lyrical variation in (foreshadowed in Tweezer) is hilarious too. And to cap it off, Lifeboy follows it up. For my money, there isn't a better song to follow a big jam (and this YEM is certainly big) than Lifeboy. It works so damn good. HYHU > Terrapin > Big Ball Jam > HYHU is actually pretty engaging. There is lots of playful banter and the Big Ball Jam features Trey on drums and Fish on Vacuum. Overall I'd say this is a pretty strong show. There's nothing super negative about it and there's nothing ridiculously stand out about it. It's a strong play-it-by-the rules show that I would recommend for fun listening. If you're looking for the highlight, definitely set your course for the YEM > Lifeboy. As you might think, this show has a little extra emphasis on the piano. Everything sounds great because of it. It's one of my favorite switches into the Bowie ending segment, Great peak note that sends it on it's way. Jim is more raucous than usual. Nice Tweezer and YEMMer. Fee-> Llama with the drum beat for Llama meshing with the harmonics from Fee is real cool. Wild, zany show! First set features a couple of debuts played solidly, including a different early arrangement for The Wedge. Bowie is strong but unexceptional. Set 2 is where the highlights are found. Tweezer is one of the better pre-'94 versions, with charged jamming and clever vocal interpolations. 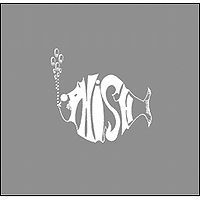 YEM is a must-hear version: My Girl tease during a beautifully extended intro section, crisp jamming, and the hilarious "Water your team in a beehive I'm a sent you" lyrics - not just once, but substituted for the entire "Wash Uffizi" segment!!! Lifeboy is a contemplative, yet energetic debut. The Fishman feature is laced with amusing banter about poor Marley being too old & fat to go on tour. Possum is an above-average shred-fest, and it includes an obvious tease / mini-jam on "You Don't Love Me" (popularized by the Allman Brothers). This show marks the first at which Page is able to bring a baby grand on tour, so the first set suitably kicks off with the first ever “Loving Cup”, a song which the band nails even at the first outing. The band shreds through a number of well played compositions, but don’t attempt any improvisation until the set-closing “David Bowie”. Although it’s nothing too adventurous, the band is clearly locked in and they dive into some sinister sounding passages before the satisfying resolve. The second set, however, is interesting almost from the start. A superb “Runaway Jim” kicks off the set, while an always-welcome “It’s Ice” carries the momentum just fine. “Tweezer” features some very interesting vocal interplay among the band early on before the jam section even begins. The jam itself is fiery from the get-go, and more than worth a listen. After a mid-set breather, the band breaks out a most enjoyable “You Enjoy Myself” and the debut of “Lifeboy”. A silly “Hold Your Head Up” sequence gives way to an enjoyable “Possum” set closer. This show offers great renditions of “David Bowie” and “Tweezer,” even if they aren’t particularly notable, as well as solid offerings of other staples such as “You Enjoy Myself” and “Possum”. It isn’t essential listening by any means, but it’s a decent listen all the same.